The time has come to begin preparing for the 2019-2020 season and we couldn’t be more excited. Please look closely at the attached spring/summer schedule and make sure to note the deadlines for commitment forms & first payment. 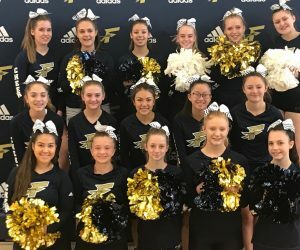 Players are encouraged to participate in other sports at Frederick High School throughout the school year and summer. However, the head coaches worked together to formulate a schedule that rarely conflicts with each other. This effort was made so that all players can participate as much as possible in multiple sports being offered. Please remember that your off-season commitment level will ultimately determine how much improvement is made individually and as a team next season. The next two months is when we grow the most, so please commit to making everything your can. If you plan on doing other activities please try to make our workouts and camps a priority. The Midwest Elite Camp is a unique opportunity that will allow our players to work with collegiate coaches and possibly be recruited and get their names out there! Please make this camp a priority!